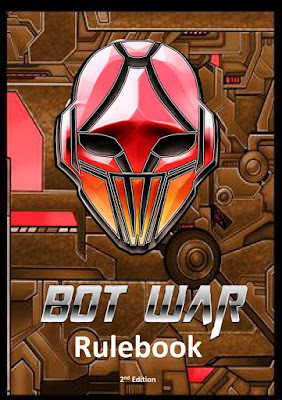 Bot War rules feedback request. Over these last few months I have been noting some of the feedback you all have posted concerning the rules. Some changes have been made based on this feedback. I am asking those who have played Bot War to please post your feedback thoughts on the current rules. I am in the final stages of 2nd Edition and just want to make sure I have everything covered as I am hoping to get 2 years out of 2nd Edition.